Harking back to the days when long-awaited love-letters were cherished and before the time of LOL and OMG, words were chosen carefully... and so were writing instruments. Now, because of its rarity, the simple act of hand-writing has evolved into an art. And after all this time, the right tools are still essential – so Authentic Models have created a collection of writing instruments in beautiful wooden chests to honour them. 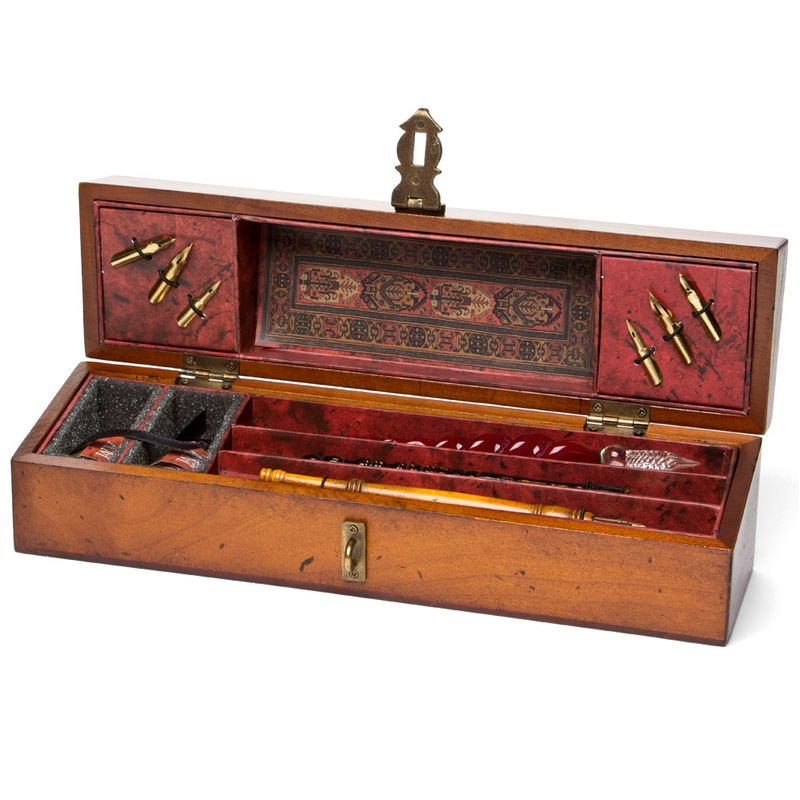 Truly special and authentic in appearance, each fountain pen within this Windsor Prose Writing Case features a wooden handle and interchangeable nibs, along with a fanciful glass stylus and two pots of ink. It’s a writer’s fantasy. Displayed beautifully on your desktop, this set will remind you of the delicacy of the written word, for many years to come. Designed in the United State. Two fountain pens with interchangeable nibs, plus ink. 2 x Wooden Fountain Pens – 15.5cm (l). 1 x Glass Stylus – 19cm (l). 1 x Wooden Case – 29.5cm (l) x 8cm (h) x 7.5cm (w).